Traveling to South Florida this winter? 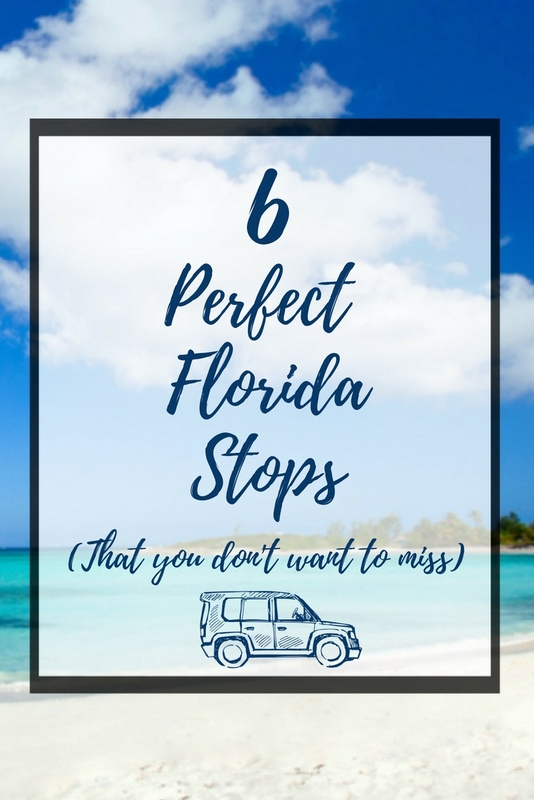 Check out these must see places for some fun in the sun starting in Palm Beach and ending in the Keys…..
Brunch at The Breakers – Brunch is my absolute favorite and there are a lot of great ones in South Florida. But if you are near Palm Beach, you must stop by The Breakers Palm Beach Resort for their fabulous Sunday brunch at The Circle and you can also see this iconic hotel. Spa day at Eau Spa – Eau Spa is the ultimate destination to maximize your “me time” and indulge your senses while enjoying champagne, cupcakes, and unforgettable spa treatments. Happy hour at Margaritaville Resort – Margaritaville Hollywood Beach Resort is a great place to stop by for a drink at one of their several restaurants. See this new hotel with a great pool for families, including a wave simulator, FlowRider. Right on the Hollywood Boardwalk too. See the Wynwood walls – Drive further south and stop in the new artsy hotspot, Wynwood. This is better than south beach – it has great restaurants, including Michael Schwartz’s famous place, Michael’s Genuine, and lots of art galleries and stores. I love that you can valet your car in one spot, walk around the art galleries and shops, and pick up your car a few blocks away. The kids will love seeing the Wynwood Walls and don’t forget to stop by Panther Coffee. Dinner at Joe’s – There is one great reason to take the family to South Beach and it is Joe’s Stone Crab. Open October to May, enjoy lunch or dinner. Don’t be afraid of the crowds or think it is too stuffy for kids (I suggest arriving before 7 pm to avoid a long wait). My kids love Joe’s famous fried chicken. Catch a Sunset in Key Largo – Drive south from Miami and in an hour you’ll be in Key Largo. Never been to the Florida Keys? Most people don’t realize it is a great day trip from Fort Lauderdale or Miami. Stop for lunch in Key Largo and check out the brand new hotel, Playa Largo, or if you are feeling adventurous drive further to Islamorada and visit the Beach Café at Morada Bay. Kids can run in the sand and dance to the music and you can enjoy fabulous food and drinks. What is your favorite South Florida spot? Great tips! I will have to check these out!